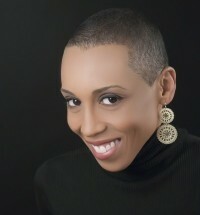 Andrea Davis Pinkney is the New York Times bestselling and award-winning author of more than thirty books for children and adults. Named one of the “25 Most Influential Black Women in Business” by The Network Journal, and one of “The 25 Most Influential People in Our Children’s Lives” cited by Children’s Health Magazine, Pinkney has had an illustrious career as an author, publisher and editor. 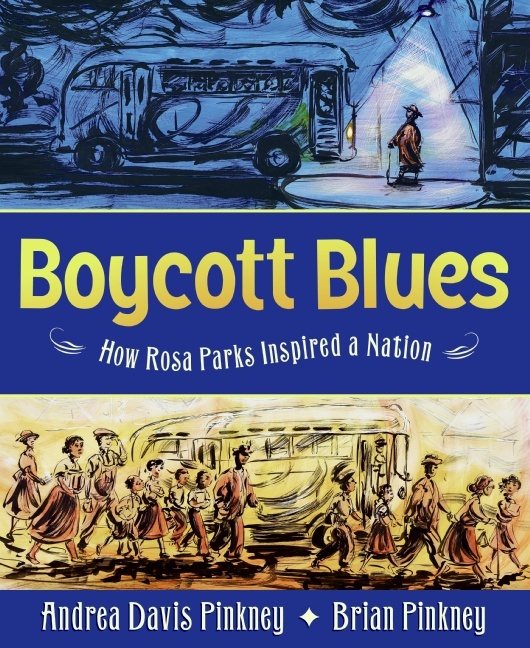 Pinkney teamed up with her husband, acclaimed illustrator Brian Pinkney, to create Boycott Blues: How Rosa Parks Inspired a Nation (Greenwillow Books) a rhythmic, bluesy, compelling picture book about the 382 days before the Supreme Court sent Jim Crow flying, and all the people who walked and walked and walked and never gave up. Boycott Blues presents a poignant, blues infused tribute to the men and women of the Montgomery bus boycott, who refused to give up until they got justice. Her most recent novel, The Red Pencil, is set in the height of the Darfur genocide and the war in Sudan. With interactive and inspiring keynotes, workshops, presentations, and commencement speeches, Pinkney brings a wealth of experience in topics ranging from diversity to career/family balance, parenting, relationships, media trends, literacy, education, and special needs. She speaks to corporate executives, media leaders, educators, students, advocacy organizations, and parenting groups. Additionally, Pinkney has spoken at fifteen leading colleges and universities, and has addressed groups at the United Nations. She is a seasoned presenter, available for conferences, benefits, fundraisers, graduations, management retreats, podcasts, and more. Her novels and other works have been awarded multiple Coretta Scott King Book Awards, NAACP Image Award nominations, the Boston Globe/Horn Book Honor medal, New York Times Notable Book and Editors’ Pick citations, and have received several Parenting Publication Gold Medals. Pinkney was recently selected to deliver the May Hill Arbuthnot Lecture. This honor recognizes her significant contributions to literature for young people provided through a body of work that brings a deeper understanding of children’s books and their impact. Pinkney’s work has been featured on the Today Show as an Al Roker Book Club pick, and has appeared on national media venues: ABC’s Oprah Winfrey Show, Oprah Radio, National Public Radio, USA Today, and more. She has launched many high-profile publishing and entertainment entities, including Disney’s Jump at the Sun imprint, the first African-American book imprint at a major company; the hugely popular Cheetah Girls series, and the teen book Serving from the Hip by world-class tennis pros Venus and Serena Williams. A graduate of Syracuse University’s Newhouse School of Public Communications, she is also a former member of the Newhouse School’s Board of Trustees. Pinkney has also served as a trustee for the National Center for Learning Disabilities. Currently, Pinkney lives in New York City with her husband and their two children. "I couldn’t have been happier with the very thorough, interesting, and inspiring talk and panel discussion that Andrea Pinkney had prepared. She had an interactive power point presentation, props, and even sang at some points.The audience was sitting at the edge of their seats while Ms. Pinkney evoked both laughter, and thoughtful reflection. Her talk provided a much needed reminder that teachers of middle school need to take visual literacy as a legitimate for of reading when motivating struggling readers. This was exactly the type of message we wanted to send to the audience of this event."